As retail is advancing by leaps and bounds, merchandising is now more important than ever and this more critical in online retail, cause your visitors can leave your store for another in a click. As per Wikipedia, Merchandising is any practice which contributes to the sale of products to a retail consumer. It refers to the variety of products available for sale and the display of those products in such a way that it stimulates interest and entices customers to make a purchase. This includes strategies like 1) discounting 2) physical presentation of products (UIUX), and 3) the decisions about which products should be presented to which customers at what time. Tagalys helps online retailers with the 3rd point using online store data to dynamically determine sort orders in Search & Listing pages. Retailers spend aggressively on SEM, Social Media, and other sources to increase online traffic to their store. The objective is to increase the top of the funnel, but these visitors are not necessarily engaged. Without engagement, visitors are more likely to leave in an instant, increase your cost of customer acquisition and reducing profitability. To get the engaged, it all starts with allowing them to find something of interest fast and viewing the product. This is the beginning of nurturing your online visitor towards the end sale. Increasing product views is the most important goal of online merchandising and is done by placing the right products in the right positions at your site e.g., Search & Listing Pages. This improves the click through from impressions on your page to the product view, increasing the probability of end conversions. You might have read in several blogs how online stores have less than 30 seconds to grab a visitors attention. You are competing with other retailers and every other mobile app, that wants the time of your consumers. Chances are your visitors might not buy something during the first visit, hence they are unlikely to return without being engaged the first time. Data-driven merchandising helps increase the number of products views per visitor. Each additional product viewed by visitors gets them more committed to your online store increasing the probability they will return. Let’s face it, with digital information overload, even remembering what you did 24 hours back is hard, hence unless you have grabbed the attention of your visitor, they are unlikely to return to their journey at your store. Online shopping is convenient, but retails are conveniently forgotten if you have not grabbed the mindshare of your visitors. Online merchandising is not done to only improve visitor experience, its performed so the end of the day it increases your sale. The effort is minimal when you use a data-driven automated solution like Tagalys and can become inefficient & unproductive if done manually. Your online store could be an extension of your offline version. Akin to the sales folks, who showcase your products to your prospects, Online merchandising could help automate the sales processes in your e-commerce store and enhance your ROI based on data. With analytics, you can instantly understand your shopper’s patterns and show them what they want. Unlike the offline world, where you have to rely on a human, if you analyze and predict using your store’s data, it will improve the probability of increasing your store conversion. Learn more or schedule a 1:1 demo with us at your convenience. What are you waiting for? See our product demo here. Visual Merchandising is the practice that drives sales by enticing visitors, increasing retention and making them your customers. The practice has long existed in physical retail with products placed in the right locations & stores to visually appeal to the visitors of the region intrigue their interest and make them customers. This includes adding displays, decorations, signs, and layout of space. The overall purpose of visual merchandising is to get customers to come into the store and spend money. Visual Merchandising is becoming more important in online retail, especially with the rose of mobile first commerce. 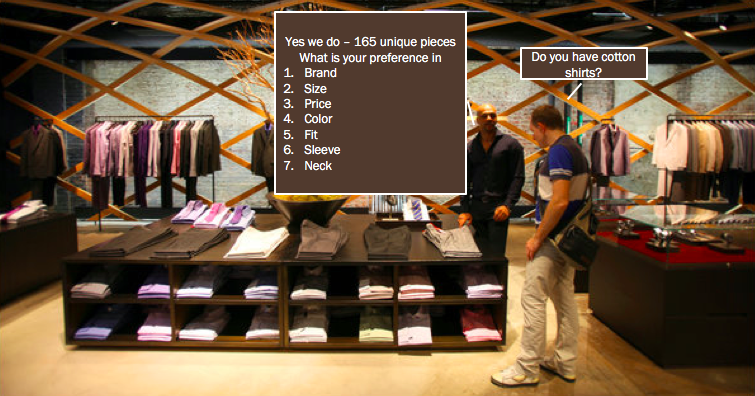 Why do you need Visual merchandising in ecommerce? Online retail is hard. It is like having a physical store, but with your hands almost tied. Over 70% of the visitors visit online retail stores via mobile devices. They are on the move and do not have time. As a retailer you are not only competing with other retailers, you are competing with Facebook, Instagram, Netflix and every mobile application who wants a piece of your time to increase their engagement metrics. So how do your visitors interested in your online store and not leave at the ping of a notification? Visual Merchandising is practiced by all leading online retailers, to ensure that products displayed across their home, category & search results pages are geared towards acquiring visitor interest as soon as possible. In order to fix your ecommerce conversion rate, you first need to have more visitors view products of interest to them. If that number increases, even if you have the same ecommerce conversion rate, you are likely to make more revenue, by virtue of more visitors converting to the customer. Offline: A merchandiser uses data to send the products to the right stores, to ensure it appeals to the audience of that location. 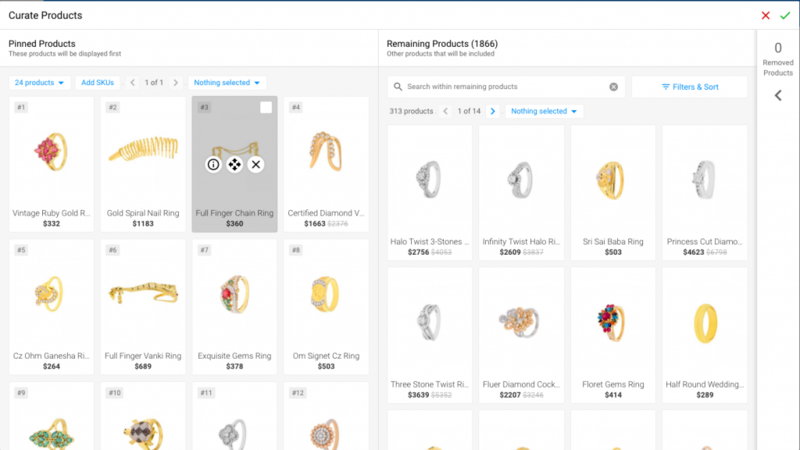 StoreWide Trending: Analyze data across the entire online store to assign a trending score for each product at the store. 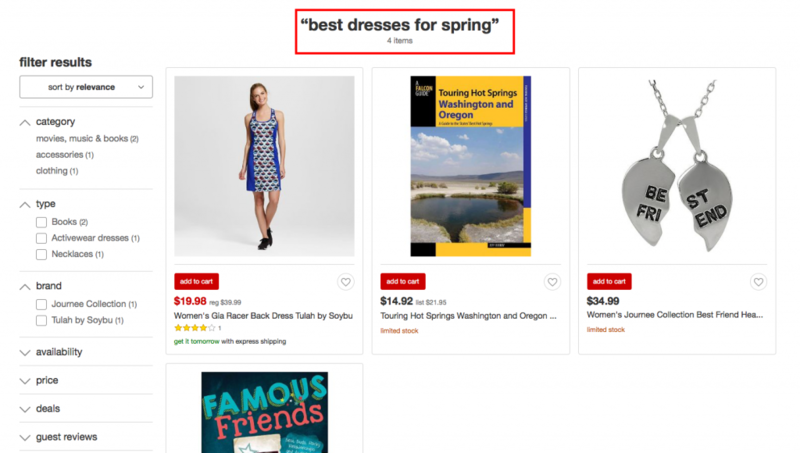 This ensures no matter which part of the store you visit, this trending sort order of products is applied and is likely to increase engagement with visitors at your store. 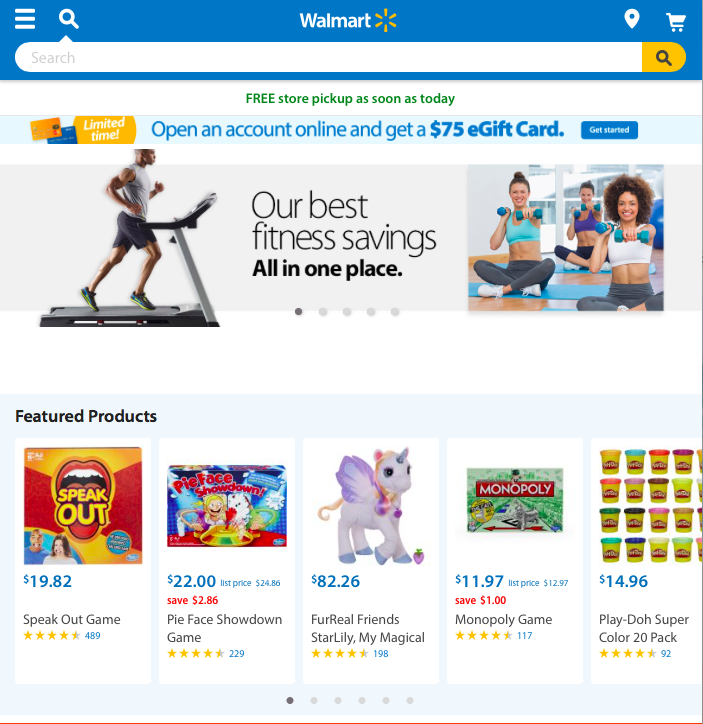 Location Wide Trending: Analyze data across the entire store by Top locations to assign a trending score for each product at the store by location. This ensures when visitors arrive from various locations, the trending sort order of products of that location is applied and is likely to increase engagement with visitors at your store at that location. Visitor Specific (Personalization): Analyze data across the entire store by the visitor to assign a trending score for each product type for that visitor at the store. This ensures when that specific visitor arrives at the store and views that product type, products for that type (e.g., tees) is applied for the visitor. Online: Page banners and popups are used to communicate the same information to visitors when they visit the online store. Offline: Physical location has its constraints and stores have to be designed to ensure seamless movement of traffic within the store, while also ensuring communication and sparking visitor interest to view products is carried out. Online: Your store can be accessed via a mobile device or a desktop. This may sound simple, but it’s difficult, as the same stores are accessed by visitors across locations, demographics & interest levels. Hence using 3rd party tools to analyze the heatmaps, movement and click-throughs need to be constantly used to continuing to ensure any in-store communication and sparking visitor interest to view products is carried out. There may be a few more common activities, but strategically these are the top 3 challenges or requirements of a merchandiser – online & offline. The overall purpose of visual merchandising is to get customers to come into the store and convert them to customers. This journey starts with the visitor viewing products of interest, and that is the number 1 goal for merchandiser. In the online world, this would translate to reducing the bounce rate, increasing the number of product views per visitor & percentage of products viewed for the impressions by the visitor. What are your goals as a visual merchandiser? Learn more or schedule a 1:1 demo with us at your convenience. What are you waiting for? Start your 14-day free trial immediately. Assigning a product to a category or subcategory is done by retailers by manually accessing the ‘Manage Categories’ or ‘Manage Products” menu. This means each time a new product has been added to your store, someone has to manually add them to all the relevant category pages or else they are unlikely to get displayed on the front end. By assigning products to the categories using the manual method we previously talked about, Magento depends on the user to update the catalog and each category with newly added products. This means you need to manually edit the relevant categories so that the new products are displayed at your store. For example, a page for New Arrivals or Sale, requires the team to manually add/delete every product to this page based on the date of arrival or the discount. As a marketer or a merchandiser, images speak louder than text. 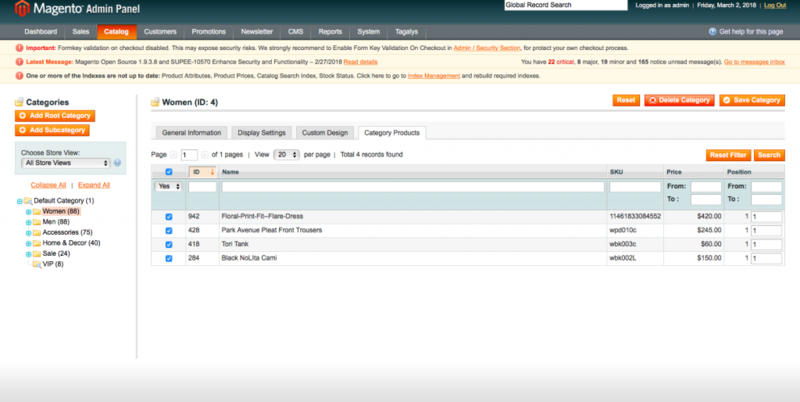 The current Magento UI used to create any of these pages is neither intuitive nor is it flexible. Tagalys gives you a visual user interface designed for marketers or merchandisers to make this task as easy as 1-2-3. Watch our demo site to learn more or schedule a 1:1 demo with us at your convenience. What are you waiting for? Contact us now or start your 28-day free trial immediately. 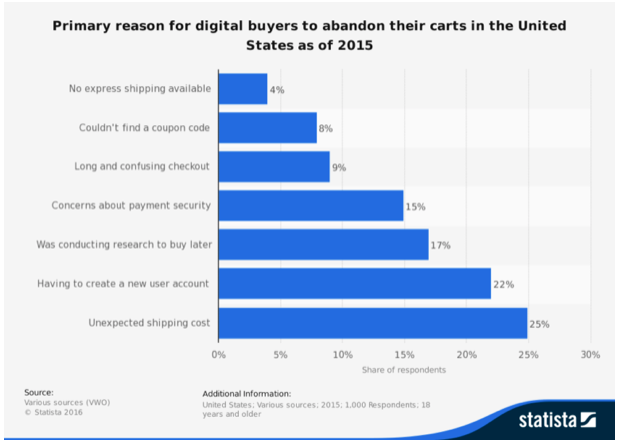 Shopping cart abandonment is a recurring challenge at every online store. Data suggests this varies between 60% to 95%, depending on the country, device, category, and brand. The good thing about realizing this challenge in your business is that you are not alone, it happens at every retailer including the greats of Amazon. If you are not sure whether you face this challenge, look at the total number of unique products added to cart and the final number of products sold. If you have a delta, you are facing the same challenge as everyone else. So, we now know this is a worldwide, industry-wide phenomenon. What can you do to fix it? There are a couple of simple things you can do right away to reduce this by a few percentage points – install a notification service, that will send an “add to cart” reminder email or notification. These notification services will reduce the abandonment rates and companies offering these services will be the experts to tell you by how much. Do you know what your overall shopping cart abandonment rate is? Which funnel contributes the most to shopping cart abandonment rate – Search, Browse, Product listing pages, Recommendations? 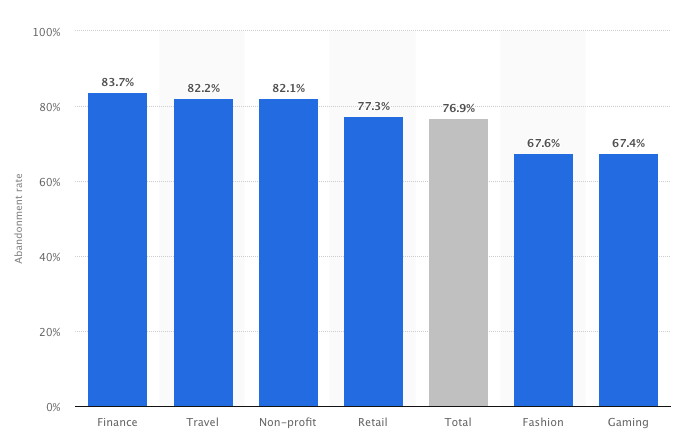 Which source of traffic is the biggest influencer in shopping cart abandonment rate – Facebook, Organic, Google Adwords, email etc.,? 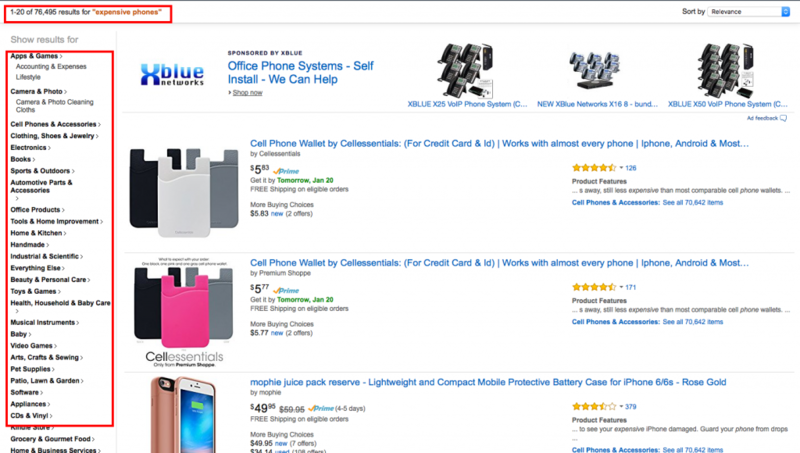 Does device type (Mobile or desktop) influence shopping cart abandonment rate? Are there visitors from a specific location that influence shopping cart abandonment rate? Finding answers to these questions can help tweak your marketing campaigns to continue improving who you target via marketing channels. While Tagalys can assist you to gather insights into these questions, we do not provide any email or notification service that can alleviate the cart abandonment rates. We do know a couple of really awesome products companies out there that do this for a living. We would be happy to recommend a few names if it can help you. Contact us (cs@www.tagalys.com) and we will make the connection based on your needs. How are retailers today, leveraging their online & offline presence in unison? At Tagalys, most of our customers use Magento Commerce for their online platforms and have a strong retail presence across the country. They understand that competing on price is a poor strategy as retailers like Amazon have bargaining powers to lower price. Omnichannel retailers compete by giving their customers convenience and trust. The biggest advantage an omnichannel retailer has is the physical presence of stores. Physical stores invoke trust in consumers and hence conversion is easier at a physical location that the online world. But the online world is where you can instantly reach out to your customers, geo-target them using social media or search engine marketing and drive them to your online store to give them a flavor of what you carry in your physical store that is a drive away if they are interested. We are seeing more of our clients using Intelligent Product Listing pages and adding store location via Google Maps, to help consumers easily walk into the store, if they need more convincing than what they see online. How do they execute this activity? Start analyzing the LIVE engagement reports on Tagalys for the page performance. A key requirement for this strategy to work is to ensure the digital marketing budgets are not measured by only online sales. They key is to understand that online is a channel and omnichannel is the strategy, hence digital marketing is a part of the larger marketing budget that is used to drive total sales. 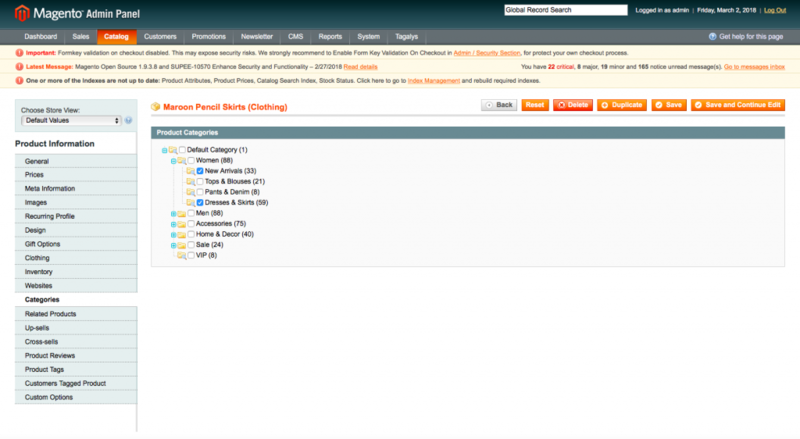 Spell check, Auto Correct, Error Tolerance – How important is it for Site Search at your Magento store? 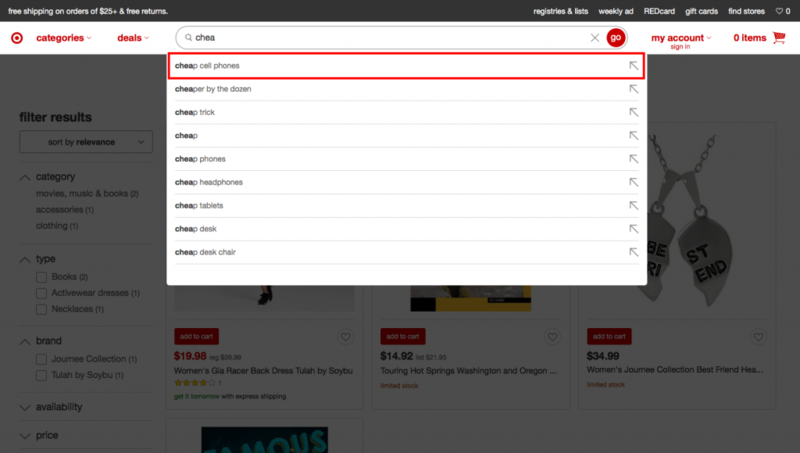 Any Search product for e-commerce at a bare minimum will provide an autocorrect or spell check feature, even though they do not provide analytics to determine what is trending at your store. Is it because Spelling correction is more important that data analytics of your search data? Absolutely not. Like a human, a spell check feature is enabled to ensure that when a visitor types/asks for an erroneous search term (Chrestmas, Skerts, Phenes) or a correct search term (Chrestmas, Skirts, Phones), the search engine shows them the same results. Like any product you purchase, there are certain bare minimum requirements for a Search product to qualify as one. Spelling correction is one of them, along with features like keyword stemming, Dynamic Filters and Live Catalog Updates. We call them hygiene factors, cause as retailers you would have thought about these requirements and would have integrated the same if your time permitted at the least amount of time & cost. You should not pay extra, just for these features in a Search product. If you are a small e-commerce store, you can integrate an open source spell check library readily available online, to meet these hygiene factors. At Tagalys we do not boast about our spell check feature, cause it is very subjective to determine how much of revenue increased at our customers, because of a spelling correction. We also feel that with the predictive suggestions, we provide in our search product, it leaves little room for error, as visitors tend to choose from suggestions than type a full search term. We also feel that customers who want to use Tagalys ONLY for our spell check feature, are probably early in their journey as online retailers, not understanding that spell check will not change their bottom line. Many “No results” pages happen as visitors search for compounded words as separate words e.g., Mens Wear, Polka Dot, Strap Less etc., No spell check library in the world including that of Amazon.com, can detect and convert search results for compounded & uncompounded words into the same search results. There are other ways to address this and spell check is not one of them. In order for a Spell check engine to add $3M in revenue, you have to assume the visitors who made the spelling mistake will not buy or search again for the same term in the correct spelling. Then, you need to have around 600K searches with typos a month, converting at 5% with $100 per transaction, to hit this mark. This also means that assuming 2% of your search terms are erroneous, you will need to have close to 30M searches a month for this benefit to be worth $3M. 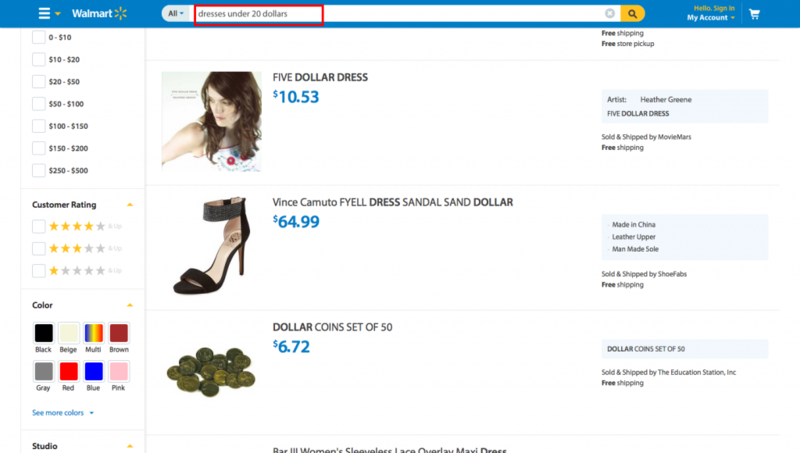 Spell check is a hygiene factor for the search product at your e-commerce store. It should NOT be a show stopper or a key decision influencer, If you are anywhere near the 1m searches a month, your decision on a good search product should be around how it analyzes data & how the analysis of search data can improve search conversion. Site Search for eCommerce – Why you need it? Site search for e-commerce store – A few of our readers asked us to share more details on the basics of why they need to have it. They were a multitude of reasons ranging from we have very few sku’s, to our visitor traffic is less than 50K per month, hence they feel it may not be important. So in the interest of these readers, let’s get back to the basics. Interested and want to skip reading – SIGNUP NOW and see your visitor engagement improve. 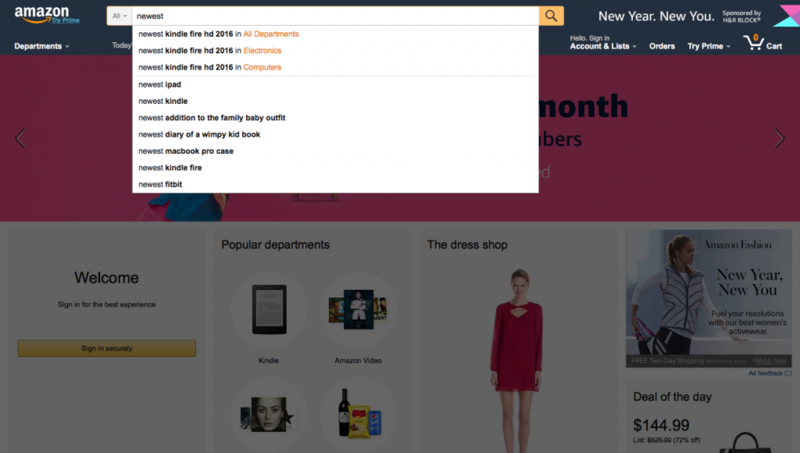 What is site search for e-commerce? No matter how many skus your store has in stock, there will be always visitors who have no time and want to ask/search for what they seek to buy. Our data across all clients suggests that between 5% to 15% of your visitors will prefer to search Vs. browsing listing pages to discover products. Now while the numbers maybe small, these visitors contribute to almost 20% to 40% of the overall revenue. More details about these benefits can be found here. What is also interesting from our data is that if you break your traffic into mobile and desktop, we noticed that in the 5% to 15% who search, almost 60% of that data came from visitors on a mobile device. Makes sense, cause in a mobile phone when you can see 2 to 4 products per scroll, menus are mostly hidden, Search is the fastest, most easiest way to discover products. How I wish you could see the raw data to be fascinated at how online visitors engage in retailer stores in todays mobile world. But if Search was not a critical path to revenue, why do the leading ecommerce store globally place an emphasis on it? Why do they clearly provide a call to action on their header across all pages, inviting visitors to search? This ancillary data should make you think on the same needs for your business. Interested already – SIGNUP NOW and see your visitor engagement improve. And the why behind this push to make visitors search are the benefits. We have spoken earlier on the benefits of good site search, but thought we back our claims with some masked data to validate these claims. As you can see from the data, no matter size of the retailer, there are always visitors that want to search and when delivered with great search experience become customers. Search conversion is always 2x or more than conversion across other listing pages. This not only helps improve overall conversion rate, but also improves cart value, revenue per visitor, time to transact therefore overall revenues. Do not wait until its late and forego revenue. Start with a free plan from Tagalys if you have less than 5000 searches a month and deliver the best search experience and improve your business metrics almost instantaneously. Increase profitability. We will soon be talking about the different types of site search engines and what may be most applicable to you. one size does not fit all and we at Tagalys have an engine that is best suited for your business. Interested – SIGNUP NOW and see your visitor engagement improve. 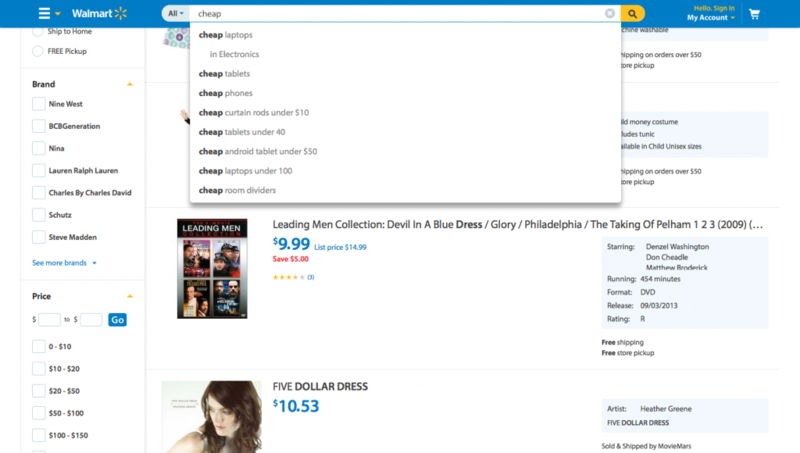 Semantic search for ecommerce site search – do you need it? Semantic search as per Wikipedia seeks to improve search accuracy by understanding the searcher’s intent and the contextual meaning of terms as they appear in the searchable database, whether on the Web or within a closed system, to generate more relevant results. Data: In our cumulative analysis of search query data across clients across verticals, less than 0.07%, meaning 7 out of 10000 search queries, were semantic in nature. Semantic search becomes relevant if the revenue generated from the x% who convert from the 0.07% is considered as significant to your business and also offsets the increase in cost for this added ability . Even sites like Amazon, Walmart and Target where 1% of their search volume could lead to millions of search queries, do not place a heavy emphasis on Semantic search for many reasons. Some of which could be ROI, customer experience or latency in the display of search results, that could increase search bounce rate. Convinced and want to SIGNUP NOW? Frictionless experience: As suggested in our article best practises in site search, consumers expect to be fed. They are spoilt and prefer to have predictive suggestions that match intent, hence almost 99.07% of your audience is more likely to click on a suggestion or type a short query, vs. a fully type a semantic query. If you notice a trend on certain contextual search queries or terms (e.g., cheap, under, newest etc.,) from the database, that can be managed without a semantic system, but creating a rule set or synonyms libraries to tell your search index what products are potentially relevant for that query. Consumer search behaviour: When it comes to visitors who choose the search funnel, most of them already show intent or interest in purchase. Hence search queries are typically tied to products (dresses, shoes, beds etc.,) or combinations of products and tags (Maxi dress, Nike Shoes, Single beds etc.,). Performance vs Price: Lets say that over 1% of your search volume consists of queries that are semantic in nature and you need a site search engine to deliver results. As a product manager this leads to leveraging an NLP system than can process or cache results for a semantic query in less than 50 ms. Anything longer than that, is going to slow your results page and that can lead to bad search experience. Secondly, there is an increase in cost to build an maintain a system that can not only process these queries with accurate results, but also show these results to your visitors like any other search query. Is that increase in overall cost, going to be offset an increase in revenue driven by semantic searches? One of the services we offer at Tagalys is a Personalized search for e-commerce. Interested already – SIGNUP NOW, join a free plan or a free trial to know whats best for you. This is the ability to showcase unique, relevant and accurate search results for each visitor that are personally relevant. The reason we stress on personalized search is because of its impact on business metrics. All our clients ask us how much of an upliftment in buy conversion can be expected from Tagalys search. Truth is we do not control that directly, but we do control conversion to product discovery, that leads to uplift in buy conversion rate. So what metrics do we directly or indirectly influence? Product views: There will be an increase in product views as product thumbnails shown in results are personally relevant to each user and not standardized for the entire site. Listing page to View Conversion rate: Our goal is to ensure more visitors view products. There is a direct correlation to product views and conversion rate, especially for visitors who search. More the product views per visitor, higher the buy conversion rate. Our primary goal at Tagalys is to improve this conversion rate as that is what our engine has control over. Order value: We have noticed a 20% to 40% improvement in order value or basket value, with personalized search. Frequency of visits: As results are identifiable by visitors and user experience has improved, we have noticed a 10% to 20% rise in frequency of visits before purchase. Our hypothesis here is that this segment is probably undecided visitors who revisit the site and continue shopping. There is an increased probability that this segment could have been lost after the second visit. Reducing time to transact: While the frequency of visit has increased for a small subset of the search audience, there is overall decrease in the time to transact by over 40%. Our hypothesis here is that these visitors are more decided, who find products faster, convinced by details on the product page and trust the retailer. Improved product discovery, helped reduce time thus time to transact. Revenue: We cannot directly take credit for all the increase in revenue. It has also be tied with the trust a retailer has created with its audience, the details (images, specs etc.,) in the product page to make the decision easy, the design of the product page, internet connectivity and payment gateway reliability. But, due to the increase in metrics 1-7, there is a direct correlation to increase in revenue. SIGNUP NOW, speak with us and help us help you.